The Nova 3i and Nova 3 has been launched in India by Huawei on Thursday. Today, at an event in New Delhi, Huawei unveiled the Nova 3 and Nova 3i for the Indian market and also announced the availability and pricing details of the handsets. The key features of the two smartphones are 6.3-inch full-HD+ displays and dual camera setups on both front and back. Other features of the Huawei Nova 3i include the new HiSilicon Kirin 710 SoC and a 3340mAh battery, while the Nova 3 is powered by a HiSilicon Kirin 970 SoC and a 3750mAh battery. Both the handsets come with 19.5:9 displays and notch-based designs. Notably, Amazon India will be the exclusive online retail partner for Huawei’s new Nova series in India, the company had confirmed earlier. The company also announced the Huawei AI Shopping feature, powered by Amazon, letting users find products by image or camera. The Huawei Nova 3 price in India has been set at Rs. 34,999, and it will be available in a 6GB RAM/ 128GB storage variant. 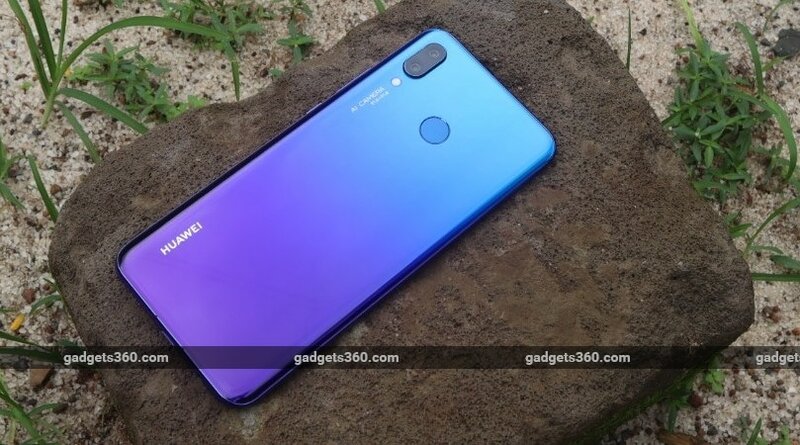 Meanwhile, Huawei Nova 3i price in India has been set at Rs. 20,990 for the 4GB RAM/ 128GB inbuilt storage variant. Both the smartphones will be available in the country in Iris Purple and Black colour variants. 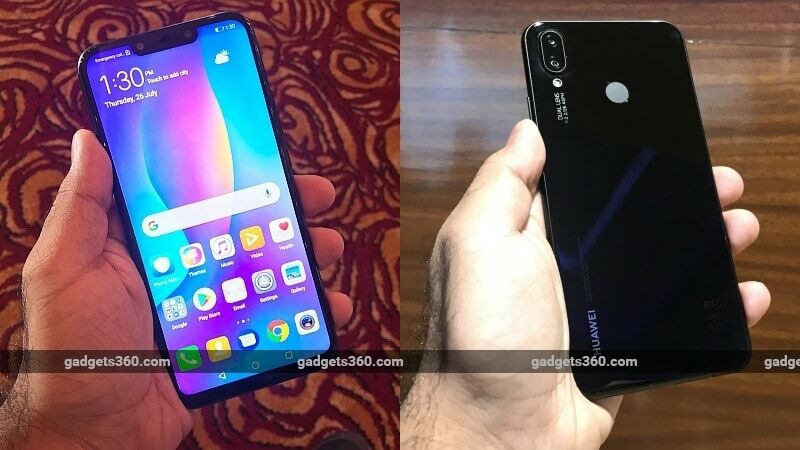 Huawei Nova 3 and Nova 3i will go up for pre-booking on Amazon India at 2pm IST today itself. Launch offers for both include an additional Rs. 2,000 exchange discount, no-cost EMIs, and Rs. 1,200 cashback from Jio, as well as 100GB additional data. The former will go on sale for the first time on August 23, while the latter will go on sale for the first time on August 7. Pre-booking offers for both phones include a Rs. 1,000 cashback. The dual-SIM (Nano) and dual-VoLTE Huawei Nova 3 runs EMUI 8.2 based on Android 8.1 Oreo and features a 6.3-inch (1080×2340 pixels) full HD+ display with a 19.5:9 aspect ratio and 85 percent NTSC colour gamut. Under the hood, there is an octa-core Huawei HiSilicon Kirin 970 SoC, coupled with Mali-G72 GPU and 6GB of RAM. The dual rear camera setup of the handset includes a 16-megapixel primary sensor with an f/1.8 aperture and PDAF and a 24-megapixel secondary sensor with an f/1.8 aperture. Similar to the back, there is a dual camera setup at the front as well that comprises a 24-megapixel primary sensor with an f/2.0 aperture and a 2-megapixel secondary sensor. The rear camera setup supports AI scene recognition. The Huawei Nova 3 has 128GB of inbuilt storage that is expandable via microSD card (up to 256GB). The smartphone has 4G VoLTE, Wi-Fi 802.11ac, Bluetooth v4.2, GPS/ A-GPS, USB Type-C, and a 3.5mm headphone jack for connectivity. It also includes a fingerprint sensor at the back and supports a Face Unlock feature as well. Besides, the smartphone packs a 3750mAh battery and measures 157×73.7×7.3mm. The dual-SIM (Nano) and dual-VoLTE Huawei Nova 3i runs EMUI 8.2 based on top of Android 8.1 Oreo out-of-the-box. It sports a 6.3-inch full-HD+ (1080×2340 pixels) LTPS panel with a 19.5:9 aspect ratio and pixel density of 409ppi. The handset is powered by an in-house octa-core HiSilicon Kirin 710 SoC, paired with 4GB of RAM. In the camera department, the Huawei Nova 3i bears a vertically stacked dual rear camera setup with a 16-megapixel primary sensor and a 2-megapixel secondary sensor. Even the front of the handset has a dual camera setup with a 24-megapixel primary sensor and a 2-megapixel secondary unit. The smartphone is equipped with 128GB of inbuilt storage, expandable via microSD card (up to 256GB). Connectivity options in the Huawei Nova 3i include 4G LTE, dual-band Wi-Fi 802.11ac, Bluetooth v4.2 LE, USB 2.0, GLONASS, and GPS/ A-GPS. Sensors onboard the Huawei Nova 3i include an accelerometer, ambient light sensor, digital compass, gyroscope, and proximity sensor. There is a 3340mAh battery behind the hood. The Nova 3i measures 157.6×75.2×7.6mm and weighs about 169 grams.